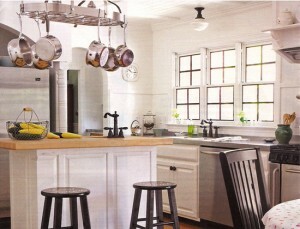 A beadboard paneling is definitely a good decoration to add to any home. You don’t have to worry if you don’t have a country or cottage looking home this style can easily fit into any style of home. Take my word for it. I have a modern and minimalist style of home but I decided to add some paneling into my kitchen cabinets just for fun. To my surprise they really did add more dimension and appeal to my kitchen. But I have would have to stay with painting it white to keep with the theme. But I tell you such little detail can add an impact to your home. This type of decoration is actually very easy to install, even by non-professionals. I was able to install mine within a day. I know my work is not nearly as polished if I asked a professional to do it but, nonetheless, it made my kitchen cabinets look more beautiful and cozy. Plus, my mistakes and lapses were hardly noticeable so I could care less. If you want to install your own paneling too, here are the simple steps you need to follow. Using your pry bar, remove any existing and protruding material. Do remove existing moldings as well if there are any. If there are any window trims that you find blocking your surface, remove it as well but save it as you might need it later on. You can install your paneling over a dry wall or over an old plaster. Provided that it adheres to the wall frame perfectly. You also need to turn off your main circuit panel especially if you want to install your paneling on walls where there are outlets. Remove the switches and outlets on you work surface from their boxes. If you find any open boxes nearby, makes sure that you cover them up to avoid debris and dust from entering. Now, here comes the dirty work. Using a stud sensor, mark the location to where you want to install the paneling. Plan out how you want to install the panel and mark each spot on the work surface to where each panel will fit. Once you’re done measuring and marking, cut the panels to the desired length and width. If there are any electrical boxes on the existing work surface that you still plan on using, mark the panels using an electrical box as a template for the size and location. After locating, measuring, marking and cutting your panels, it is now time to begin installing them in your work surface. Using your finishing nails or some pneumatic nailer secure each panel in place. You can also make use of some adhesive to make the panels to adhere to the wall more firmly. Then, nail the panels in place with about 12 inches in interval to secure them in place better. Once you’re done with the installation you can choose to paint it over or keep its raw look. Panels can certainly add more dimension and character to any home. The best thing about them is that they are very easy to install. Adding a beadboard paneling to my house was the best decoration I ever added so, add some in yours too!